See our 2018 Report to the Community! Within Community Development, there are also six public boards and commissions. "To develop and implement creative community-based strategies to enhance economic opportunity, build strong neighborhoods, and ensure a dynamic framework for quality growth and development." 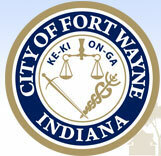 "To foster a vibrant, prosperous and growing Fort Wayne through extraordinary community development."